Contemporary society is in crisis, its structures broken and fragmented, and its people overstimulated, overstressed, and thirsty for true communion with the sacred and with one another. Yet although more than eighty-five percent of congregations in the United States conduct small-group ministry, too many of these groups begin with no clear sense of purpose, structure, or spiritual focus and end by veering away from Christian tradition and unknowingly settling for shallow versions of popular Christianity. 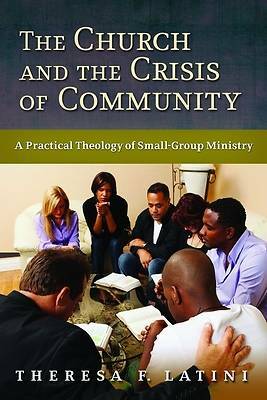 In The Church and the Crisis of Community Theresa Latini lays out both a theoretical groundwork and a practical guideline for successful small-group ministry. Examining the latest sociological research and the real-life practices of small groups in six congregations, she shows how well-developed groups -- those with mission statements, leadership training, and solid organizational structure -- can be a truly effective tool in the church's work of transforming broken and shallow forms of community into life-giving, life-sustaining relationships with God and others.